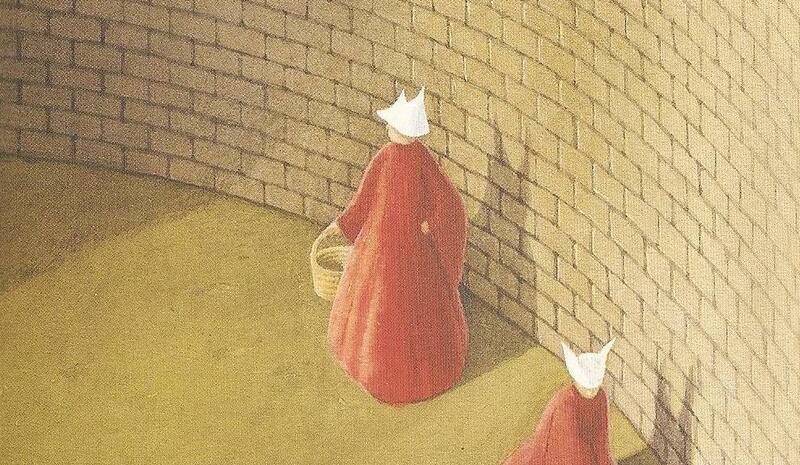 The handling of race in Hulu's adaptation of *The Handmaid's Tale* is weird. While it is difficult to say that I have been enjoying Hulu's adaptation of Margaret Atwood's The Handmaid's Tale, I will say that, so far, it has been quite good. It has been ages since I read the book (early 1990’s, as I recall), so my recollection of the plot details is rather foggy. However, watching the initial episodes the past few weeks, I was a little surprised that a totalitarian state like the Republic of Gilead that was so brutally oppressive to women would happily welcome people of color into its ranks. A bit of googling reminded me that in the book, Atwood mentions "the Children of Ham" being forcibly relocated to reservations in North Dakota, which means the show made the deliberate decision to change this part of the story. Asked about that deviation from the novel, executive producer Bruce Miller tells TVLine it was “a huge discussion with Margaret Atwood, and in some ways it is ‘TV vs. book’ thing.” After all, on the printed page, “It’s easy to say ‘they sent off all the people of color,’ but seeing it all the time on a TV show is harder. Also supporting the decision to have black handmaids, “The evangelical movement has gotten a lot more integrated” in the decades since the book was published, Miller notes. But perhaps the biggest driver behind the change — the one that made sense, story-wise — is the fact that given the setting’s dire birth rates, “I made the decision that fertility trumped everything,” the EP shares. I am not quite sure how I feel about this decision. Miller’s explanation sounds like hand-waving, especially in light of the cast’s claims at the Tribeca Film Festival that it was not a feminist story. There is a big difference between making a TV show about racists and making a racist TV show. You’ve got a TV series that just got renewed for a second season. One of the great things about TV is that it gives you a lot more time and space to explore complex stories and sets of characters. I have to wonder how much of this stuff is the result of nervous corporate lawyers and marketers worried about causing too much upset. Even given that, though, Miller’s responses seem rather flat-footed. The show can’t be everything to everyone. Nonetheless, it strikes me as odd and unfortunate that they deliberately cut out that aspect of the book, and now seem to be refusing to even acknowledge the point.